This range is marketed as an anti-ageing line, so people with ageing skin concerns, fine lines or wrinkles can try this product. I believe is works well for all skin types. This innovative concentrate helps to enhance surface skin condition, leaving it looking smoother, fresher and healthier. Helps enhance surface skin condition, smoothes, instantly moisturizes the skin. 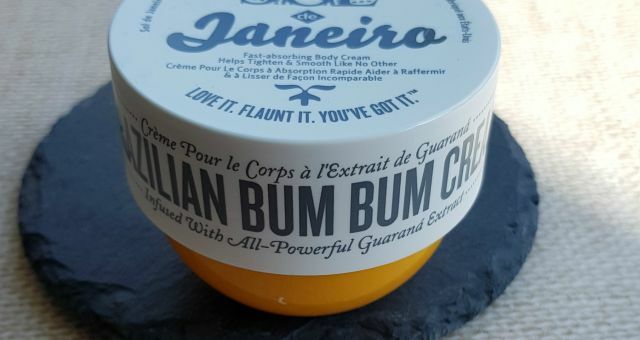 It has 99% of natural origin ingredients . 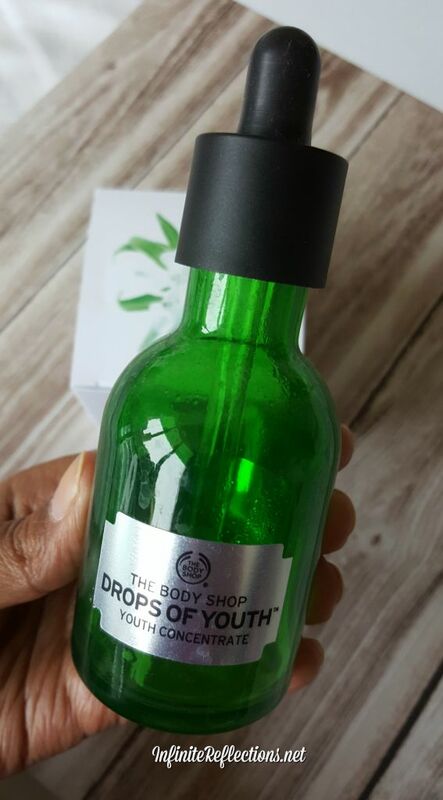 The whole range of “Drops of Youth” has a colour theme of green and black based on their plant based ingredients and to signify evergreen skin. 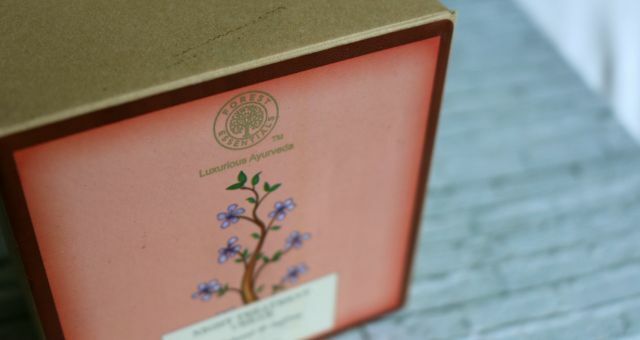 The packaging of the product feels quite luxurious, yet clinical and it feels like this is a serious product which is going to work wonders. 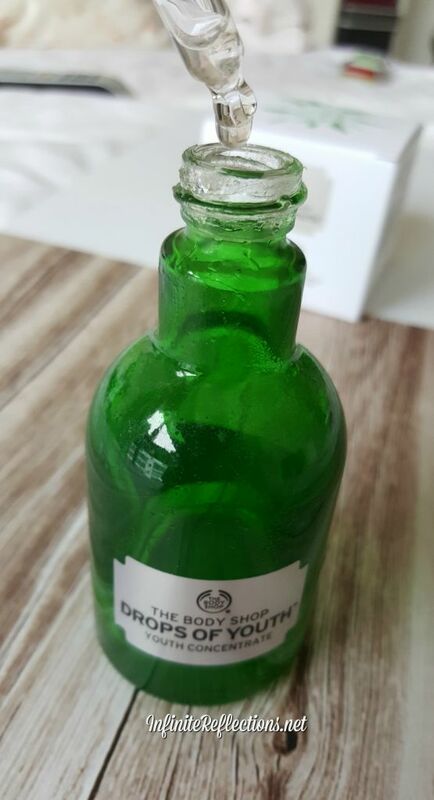 The actual bottle is glass with a dropper for its lid. The dropper is a standard dropper and you have to take two drops of the product and the dropper does a good job in dispensing a nice sized distinct drop. It doesn’t get runny or messy and it’s very nicely designed. A big thumbs up for the packaging. As the packaging is glass, the product is going to stay good for longer, but you have to be careful while handling the product. This has an expiry of 1 year. The product is available in 2 sizes. 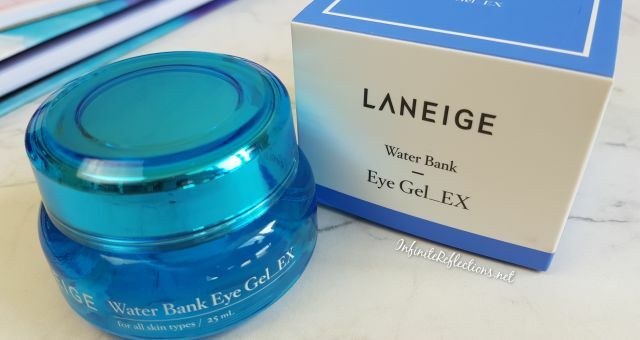 The 30ml bottle costs SGD 59.90 and the 50ml bottle is priced at SGD 79.90, so you can invest in this depending on your budget. 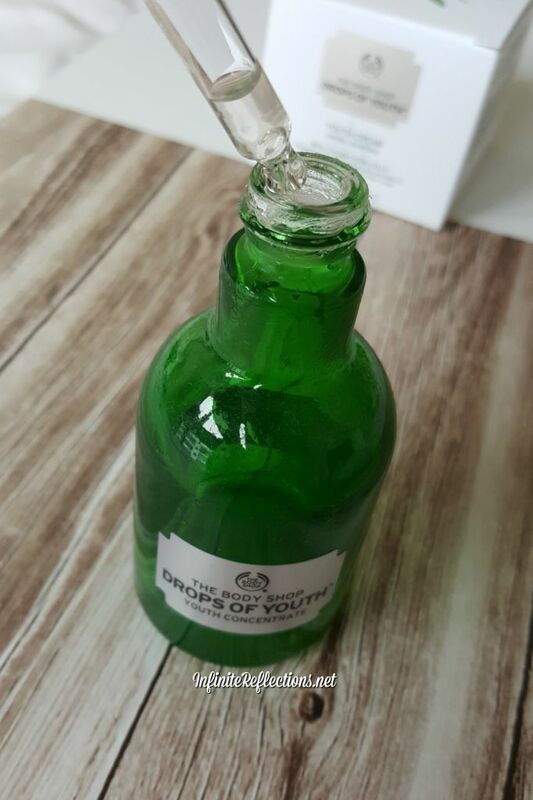 The pictures in this post is of the 50ml bottle, which I got in one of their 20% of promotions. This bottle lasted me around 1 year and 1 month. This product is actually a serum and its consistency is on the thicker side. 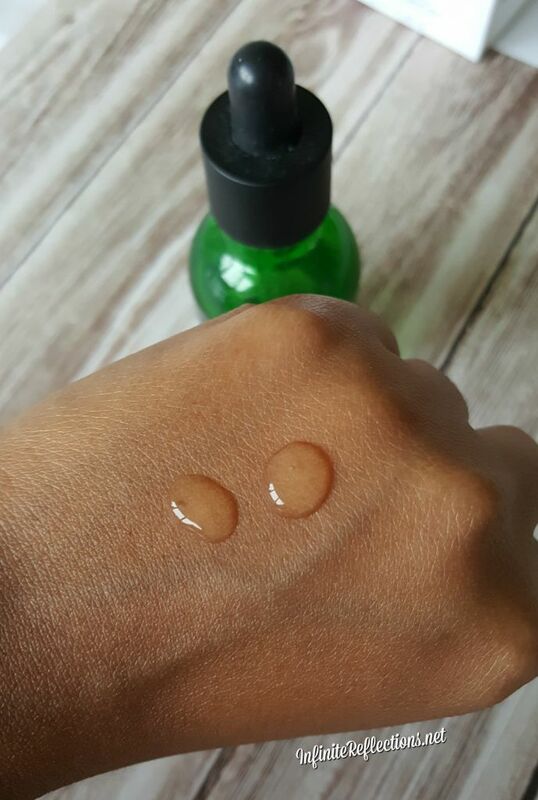 It is not a very liquid-y serum but yet when you pat blend into the skin, it gets absorbed quickly as though a liquid and the skin feels quite tight and firm. The dropper does an excellent job in dispensing a pea sized drop every time. The fragrance of this range is just amazing. It has a very light floral scent but not too sweet and it doesn’t linger for long either. This product is used as a serum in the skin care routine, so this has to be applied right after cleansing and toning. Two drops are all you need for the entire face and the neck. It has to be applied in a patting or dabbing motion starting from the center of the face towards the outside. It has a very nice cooling sensation which I really like. The serum will absorb quickly into the skin within a minute or two and the skin will feel firm. Then it needs to be followed the night cream or any facial oil which you are using. Nobody is getting any younger and I after delivering my second baby was troubled with skin issues. 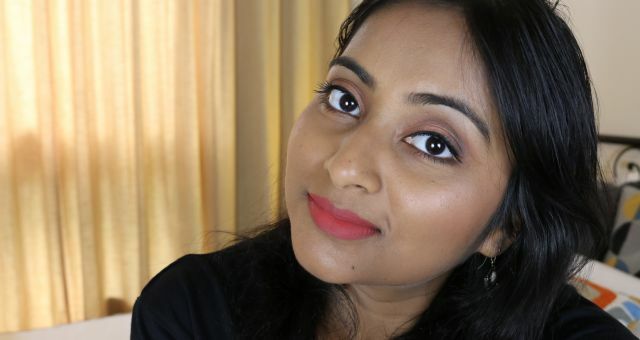 My skin started to look dull, tired, rough and suffering from light pigmentation due to hormonal changes. I decided to try this serum along with the “Oils of Life” Facial Oil. These two products did wonders for my skin. I started using the facial oil first and then the serum a few months later. I could visibly see a difference in my skin texture once I started using this. My skin felt smoother and it looked so much smoother and younger. The dullness had started to fade away and even my mom commented many times that I looked fresh. Later, I got her hooked to this as well :). This product lasted me 1 whole year and I used to apply only at night as it was convenient for me to do so. I have used it religiously every single night and I have seen a drastic change in my skin. Now, I am out of this product and I am trying something new but I still miss applying this product every night. Probably, I will repurchase this very soon. I will highly recommend this product if you are looking to invest in a good serum which will actually show some results. It surely did wonders for me! Nice review sissy is it can be used on oily skin?!.. It absorbs well and is not greasy at all. I think it will suit oily skin as well. Haan meri toh ek bottle khatam bhi ho gayi.. Almost 1 year laga khatam karne.. ab tak maine aur ek liya nahin hai.. dusra try kar rahi hoon.